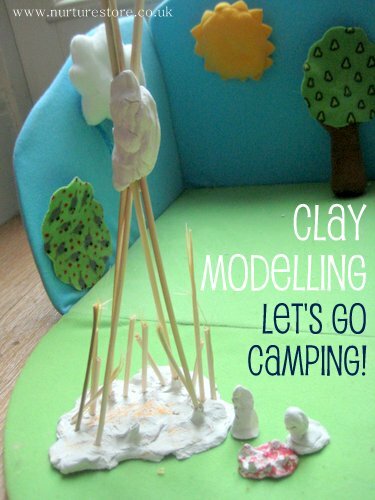 Air drying clay models: let’s go camping! One of the ideas we had for our Screen-Free Week was to have a rummage around on our craft shelves to see if there were any long-lost art materials that we might like to try. We struck gold with two packs of air drying clay that Father Christmas had brought in the girls’ stockings and which had been put away in a post-Christmas tidy up and forgotten about. Have you used air drying clay before? It’s not too messy and quite easy for young children to use – my 5-year-old had no problem manipulating the clay into the shapes she wanted. The girls had wooden skewers and scissors to use to cut and make marks with but mostly just used their hands. 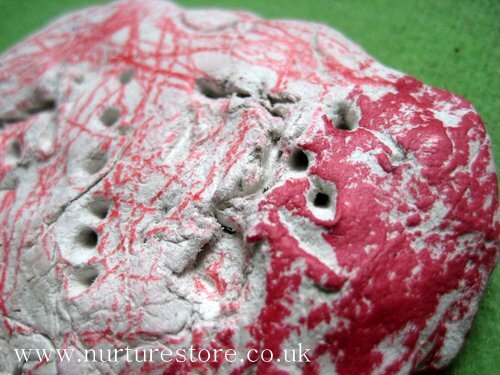 The clay warms to the touch and is a great work out for fine motor skills. 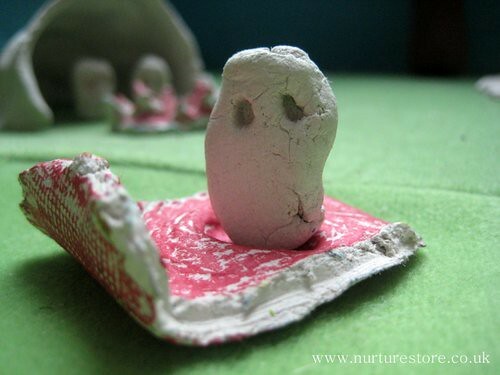 The clay does dry out and turn hard just by being left to sit, with no oven or kiln baking needed, but you do need to be patient and let the models dry out thoroughly so they are then robust enough to play with. How long it takes will depend on the size of your models and the weather – thinner models will dry out faster than big, thick ones. Ours all dried out over night. And what did they make? A camping expedition! 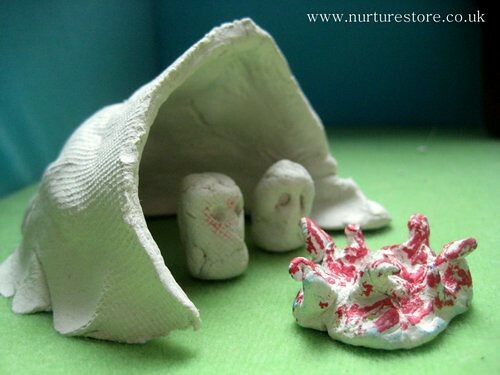 If you follow NurtureStore on Facebook you might have seen the chat yesterday about camping with kids. We’ve just bought a tent and are planning our first camping trip – but you can see the kids couldn’t wait and made a camping play set of their own. Once your models are dry you can leave them as they are or add colours. Acrylic paint with a coat of varnish over the top is perhaps the best option for a long-lasting design but the girls set their hearts on using oil pastels. While this isn’t likely to be very durable they were really pleased with the way their colours and the texture turned out. :: or how about cement art tiles? 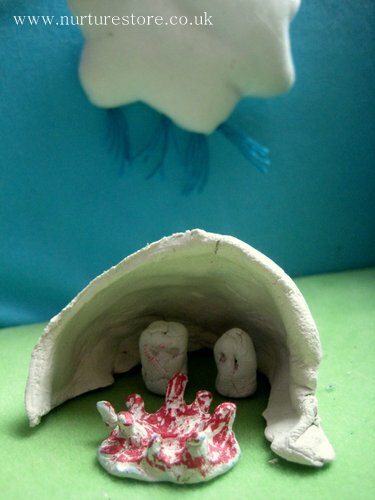 And if you stop by tomorrow I’ll show you the Kids Art Explorers Paper Free Art land the girls made for their clay models. Önceki yazıSabun Nasıl Temizler?Sabunağacı Neden Doğal, El yapımı ve Soğuk Proses Sabunu yapıyor? Sonraki yazıPlastik ve Cam şişeler?Sağlıklısı Hangisi?Hangisini Seçmeliyim?